Another tape released by the cool french label Groupuscule Vision,I wrote about them few times already.An independent tape label formed by the art collective Cartel Experimental,as far as I know they were also releasing an international newsletter called Concept. 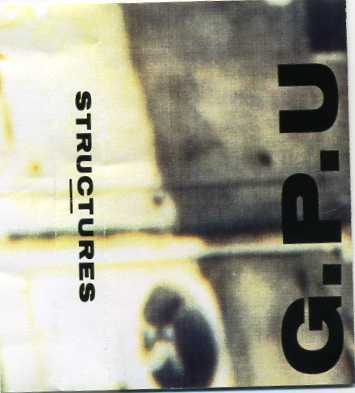 I have already posted 2 tapes by this great noize/industrial project called G.P.U.-Propulsion and Genese. All their releases were limited edition of 50 copies with colour cover and chrome tapes.I think those tapes are hard to find nowadays.